Normally I carry around a film camera in my briefcase or my car. It's used for casual snapshots and street photography. Next man up....which one to pick next? Last night I opened a few of the boxes I store in my home office (I have a few more up on shelves), and made my decision. 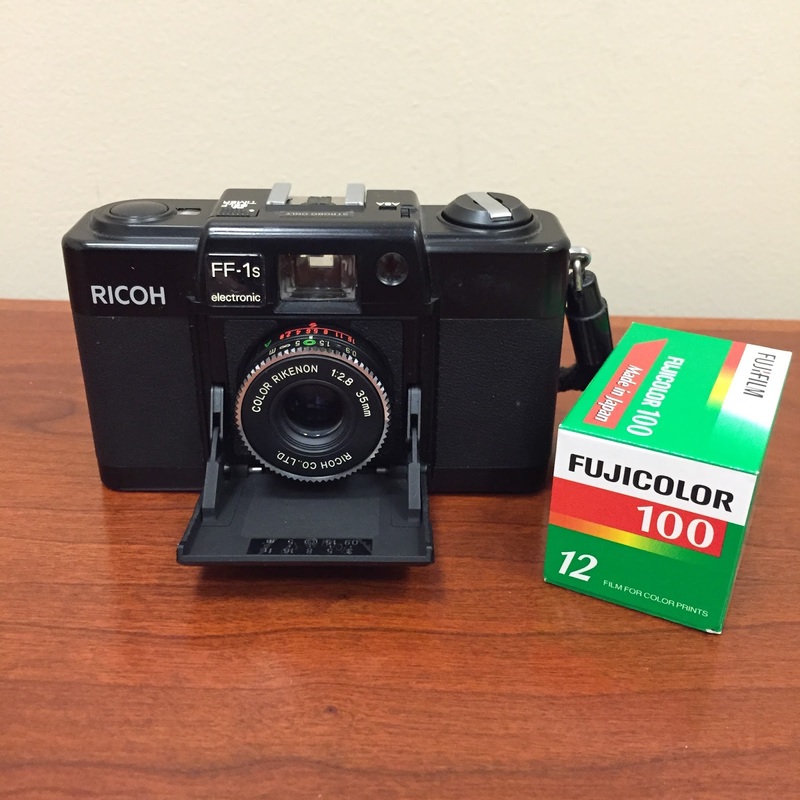 The winner, a Ricoh FF-1s. 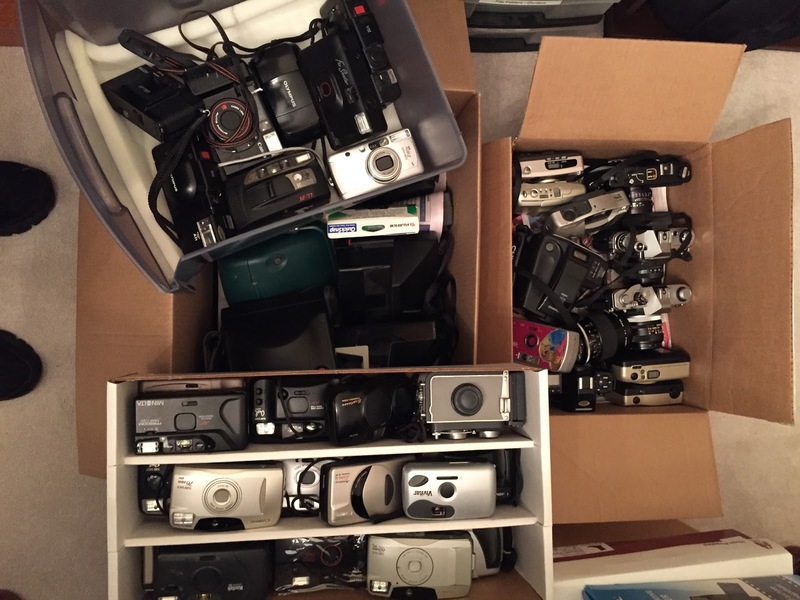 I'll load a roll of FujiFilm Fujicolor 100 that expired in 2010. Not sure if it was cold stored, but I'm guessing it's still good. It's part of a lot I purchased on eBay. I've shot the Ricoh before. It's a fun little rangefinder point & shoot. It is short & stout with a surprisingly nice f/2.8 35mm lens. Here we go!